We know it can be difficult to come up with a fresh image for each social post you create, so we’ve put together this list of amazing tools to help you create free images for websites, social media posts, blogs and more. Below are some jump links to help you quickly navigate to the type of image you’re looking to create. These image tools range from free to premium and from desktop software to mobile apps, so there should be enough tools here to fit all of your needs. Don’t forget to put those great images to use with a free 30-day trial with Sprout Social. Canva is easily the most all-inclusive tool on this list. There are so many different design templates that make it easy for users to create images, build resumes or design book covers. 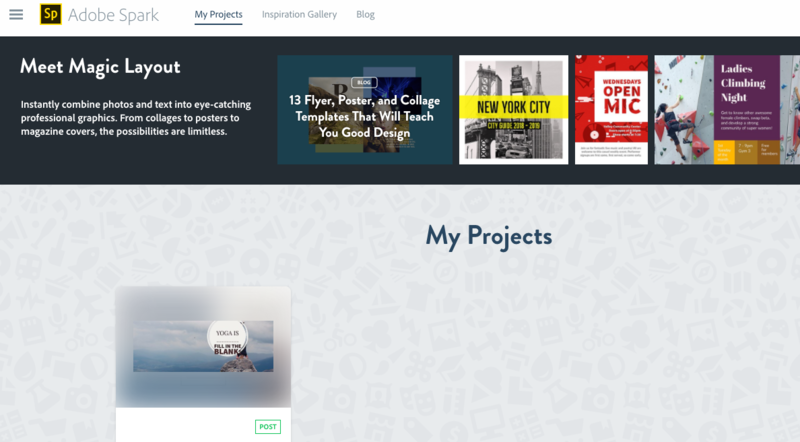 Canva also has social media templates, making it easy to create social media images, including: cover photos, profile pictures, posts and advertisements. Plan Upgrades: Premium $3.99/mo (pay annually) or $7.99/mo (pay monthly), Supremium $8.33/mo. Plan Upgrades: Pro: $9/mo (pay annually) or Unlimited: $19/mo (pay annually). If you’re looking to update just a few images a month without making a major investment, Stencil is perfect. The free version allows you to design 10 images a month, but only provides limited features. BeFunky is a photo editing tool that doesn’t require users to register, which is a big plus for a lot of people. The site has tools for editing and effects. BeFunky also includes tools for a collage maker. It’s absolutely a breeze to use these image creation tools and publish them with our social media management software and Smart Inbox. Using an infographic maker is an easy process to share large sets of data in visually pleasing content. This is why marketers still find infographics to be some of the most shareable types of content in the digital marketing space. Infographics are highly shareable when done right, which is why it’s important to select a quality tool to make them. Venngage has both free and paid accounts that make it incredibly easy to create and share your own infographics. Simply choose a theme, alter the text and data, insert some graphics and share. Infogr.am is a high-quality tool for illustrating big data and creating ready-to-use infographics for your audience. There are a number of great features available for free, but to access the full suite of infographic tools, you’ll need a paid account for things like interactive maps. Piktochart is a popular infographic creation tool that has plenty of free design features for beginners and experts. 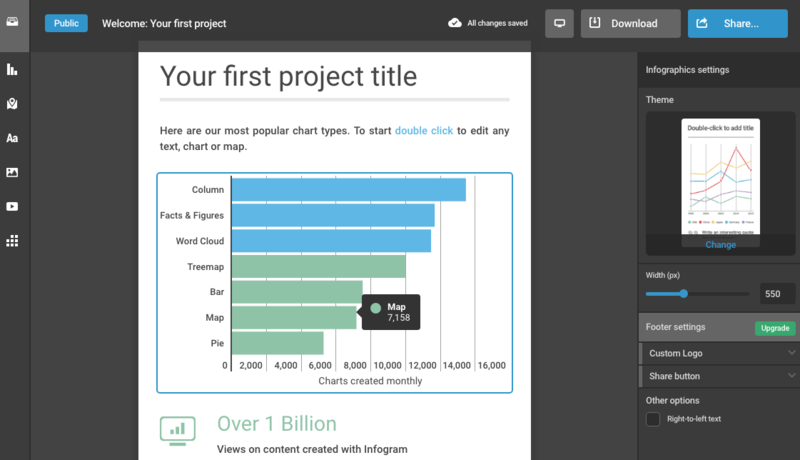 Widely used by some larger organizations, Piktochart’s free plan is great for those getting started. Plan Upgrades: Standard: $10/mo (pay annually) or $15/mo (pay monthly). Complete: $19/mo (pay annually) or $28 (pay monthly). Team: $57/mo (pay annually) or $84/mo (pay monthly). Visme is a great tool if you’re new to infographic creation. 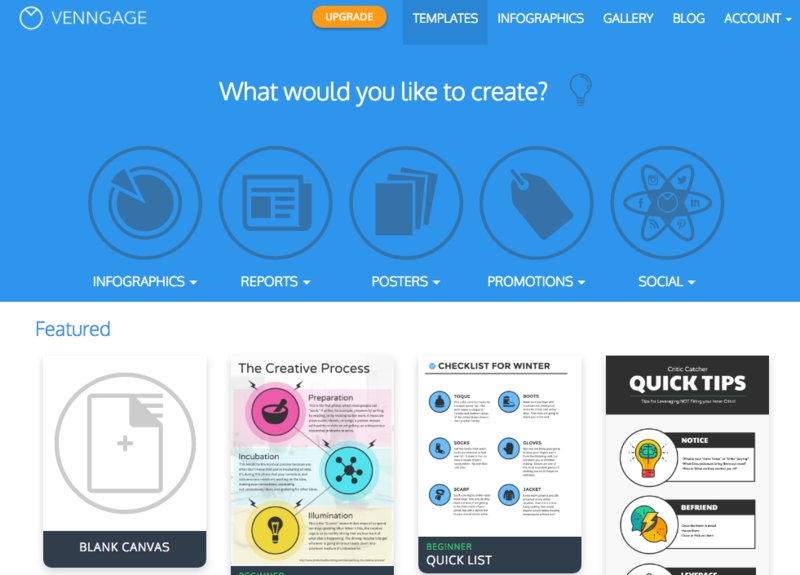 With a free version to get you started, you can craft engaging and informative infographics. Claiming more than 4 million created infographics, it’s easy to see why Ease.ly is popular for infographic creators. While the free version has limited templates, it’s still a good tool to use without spending any money. LogoGarden is a quick and easy free option for logo creation. If you aren’t super design-oriented and don’t mind using existing imagery to create your logo, it’s the perfect tool. The company also offers a custom logo ($39.99 starting price) from their design team. Logotype Maker is a site for small companies and startups looking to create their own logos. The site has over 200 custom fonts, custom sizes, a handful of special effects and more. However, the free version only provides non-customizable logos. 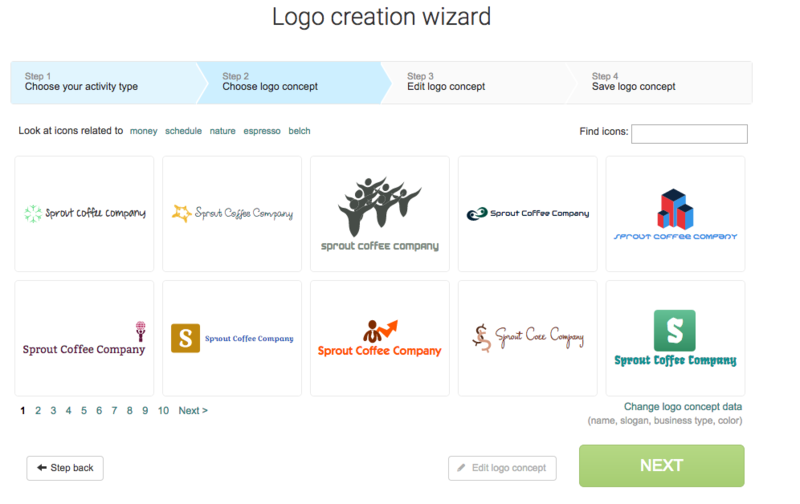 UCraft is known for being a content management system, but it also has a free logo editor. While it’s templates are not very robust, the tool can create simple logos you would use on a website. There’s other add-ons you can purchase to get more designer tools for image editing. Another free logo tool is Logaster. Here you can create multiple versions of product designs or logos all for free. However, you can only download small images and there are upgrade features to download at larger, higher resolutions. This set of tools is not known by too many people, but they’re great for social media. 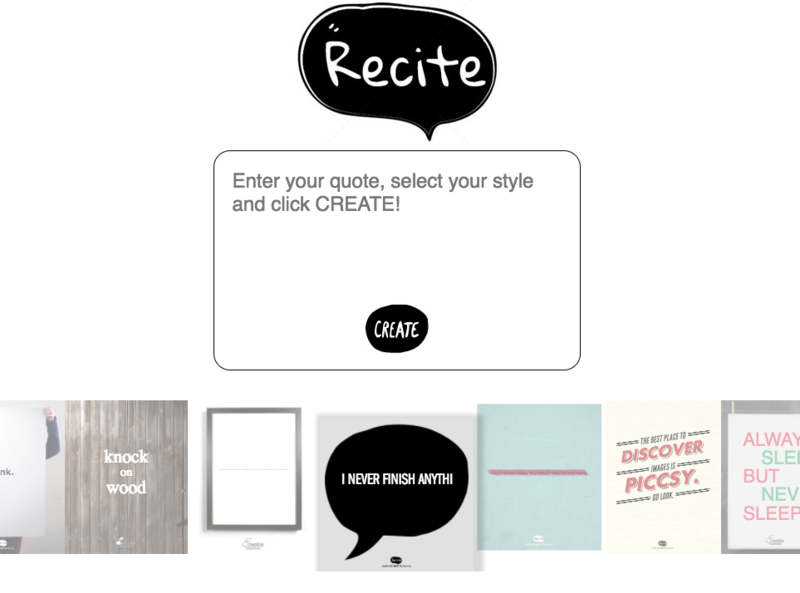 These sites will take a quote and turn it into a beautiful image, shareable for social media. The ease of creating and sharing content make these a great tool for marketers posting frequently. QuotesCover is great for turning your fantastic quotes into social media cover photos. 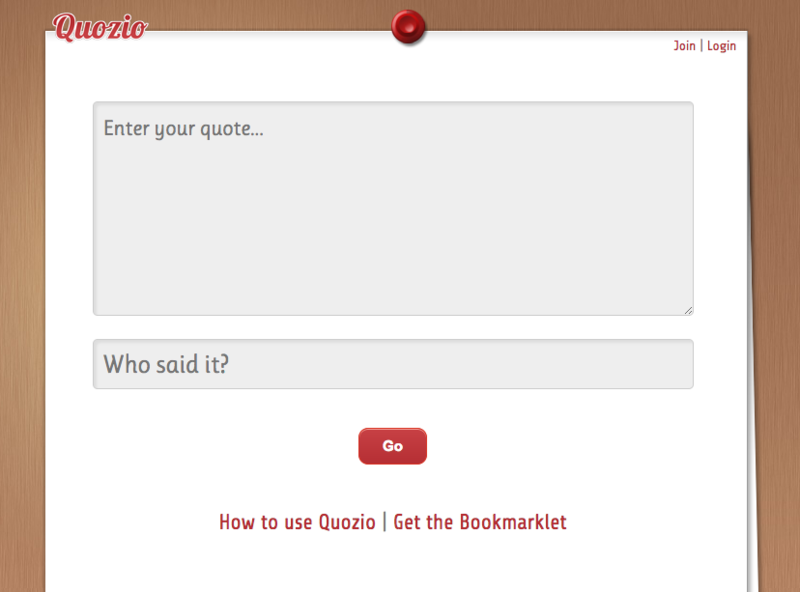 The site allows you to create quote designs for multiple social networks. You can even make a quote image a cover photo on Facebook. 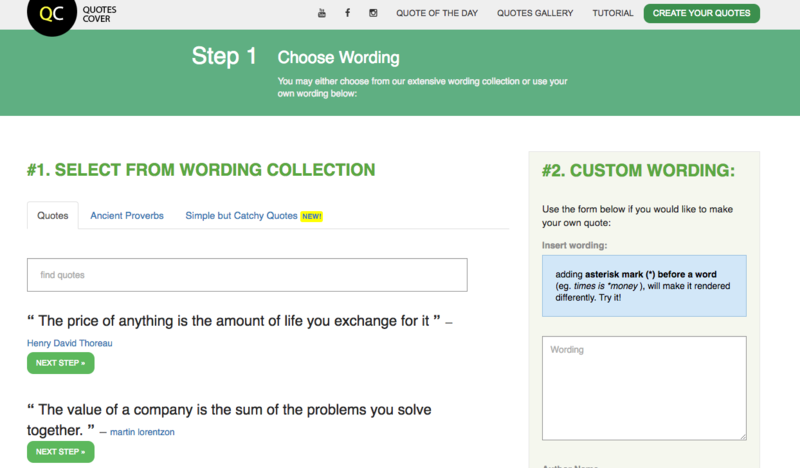 Try scheduling your beautiful quotes with Sprout Social’s Social Media Calendar tools. Fotor is a great free site for putting together a photo collage. You can pull photos from your computer, Dropbox, Facebook, Flickr, Picasa, web or any camera you have set up with your computer. Additionally, Fotor has Android, Apple and Windows apps to take your editing skills on the road. 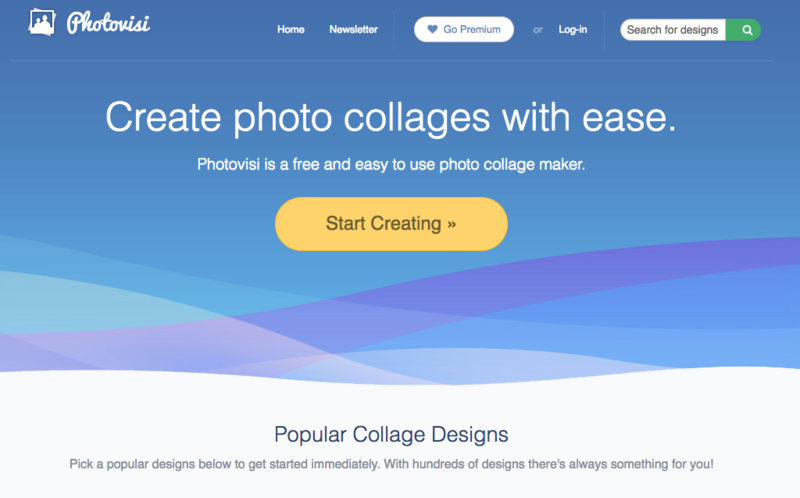 Photovisi is a simple tool for creating a photo collage. It’s as easy as choosing a theme, adding your photos, choosing additional text and shapes and letting them put it together. The only downside is that you’ll have to pay $4.99 per month to get access to a collage without the watermark. 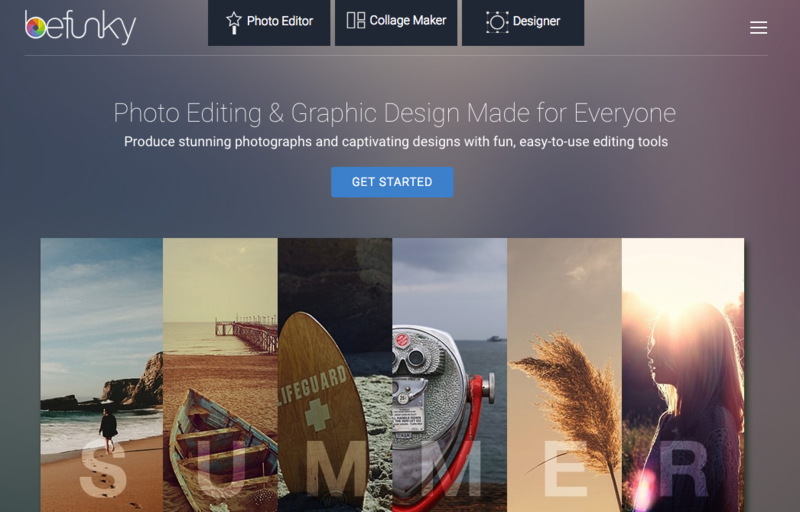 Picture2Life is an incredibly powerful tool to edit images, create GIFs and make truly customizable photo collages. Additionally, users can have their work professionally enhanced, enlarged and framed! Image prints start at $4.03 and framing at $77.30. Otherwise, everything you create or make on Picture2Lie is free. One of the most simple tools listed here is PhotoCollage. This completely free tool allows users to create collages, add text and then easily save them for Facebook and Twitter Cover Photos. The site also has canvas print options available for purchase. Did you know Google Photos has a collage maker feature within its editing tools? This is a great source to quickly build a collage and save it to your Google Drive. There are multiple collage variations and editing tools to enhance the image. The best part–it’s all free. While we’ve already mentioned Fotor in our Collage Maker section, it’s hard not to put it on the list again for Cover Photos. 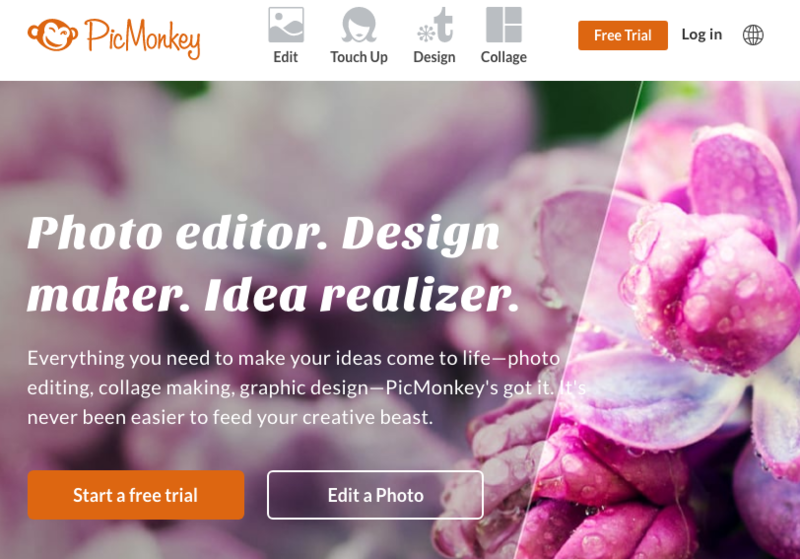 This tool has a specific feature to custom create Facebook, Twitter and Etsy Cover Photos. 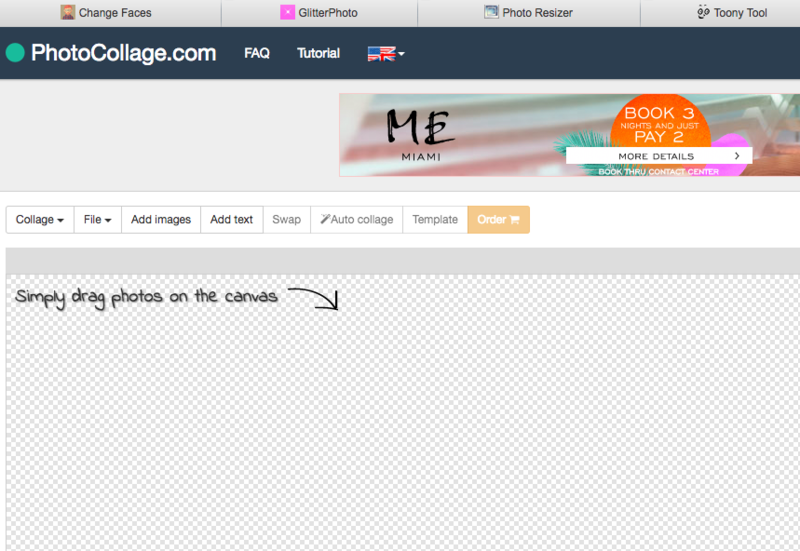 Not only that, but Fotor can make Medium board leaderboard images and even customer blog headers. Plan Upgrades: Basic: $4.25/2yrs (pay biannually), $6.25/mo (pay annually) or $9/mo (pay monthly). Pro: $10.95/2yrs (pay biannually), $13.25/mo (pay annually) or $19/mo (pay monthly). Agency: $23.95/2yrs (pay biannually), $33.25/mo (pay annually) or $59/mo (pay monthly). Pagemodo boasts more than a million users and has a lot of great features like professionally designed themes, access to thousands of free stock images and shapes and the ability to upload your own images. The cover photo tools start for free, but allow users to upgrade to professional tools. Plan Upgrades: Adobe Cloud: Starts at $19.99/mo per app (pay monthly). Adobe Spark is a free app to help users make their social media cover photos look amazing. With plenty of editing tools, size formations and easy-to-save features, Spark is definitely a tool worth having in your back pocket when creating cover images. However, an Adobe Spark banner will exist on your content until you upgrade to an Adobe Cloud member. This tool is equipped to help you create great photos for Facebook, Twitter, LinkedIn, Pinterest and more. There are several great frames and themes for you to choose from on the site. This is a site that allows you to upload a photo in order to resize it to perfectly fit profile image dimensions for various social sites. The simple tools make it easy to edit, save and upload your profile images without spending a dime. Another free profile and resizing tool is Timeline Slicer. This site works to incorporate your profile picture and cover photo into the same image, which helps create a unique look. 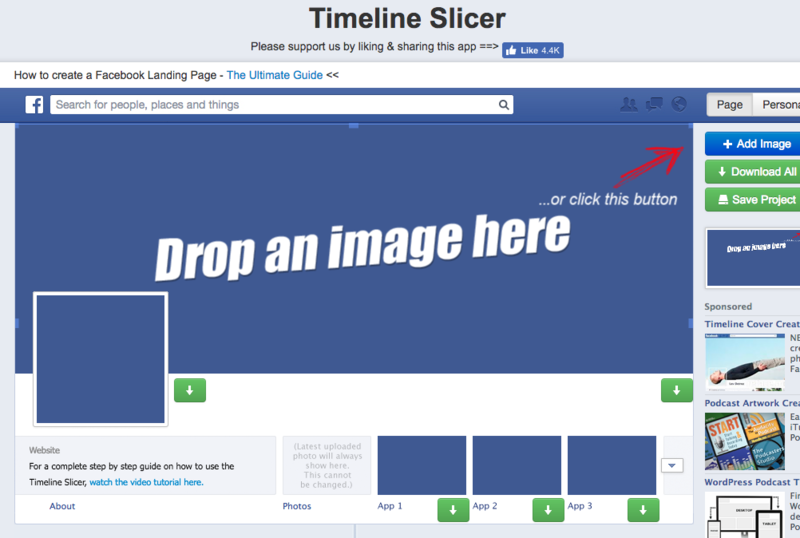 Timeline Slicer also allows users to scale images for ads. Plan Upgrades: Snagit Upgrade: Starting at $24.95. Jing is a free tool from TechSmith that lets you capture both screenshots and screen videos. Then you can easily share with a custom shortened URL via Screencast. Jing also has tools to edit the image that you’ve captured with text, shapes and colors. However, if you use Screencast, there’s a monthly or yearly fee to connect. Awesome Screenshot is a browser extension that can connect to your Google account to start editing, resizing and enhancing screenshot images. There are a ton of great features for capturing screenshots with Awesome Screenshot and its editing tools also help you to create insightful annotations and comments on top of an image. Plan Upgrades: Evernote Plus: $34.99/yr or Evernote Premium $69.99/yr. Similar to Jing and Awesome Screenshot, Skitch also boasts great features for editing your photos on a mobile device. This is a big plus for social media managers and content creators looking for simple tools on-the-go. Skitch is absolutely free, but Evernote upgrades are available for more features and integrations. These types of tools are fantastic because they allow you to take all of the images that you already own and crop them to meet exact specifications of each social network. If you need those specifications, check out our always up to date social media images size guide. We realize it’s difficult to keep up with the ever-changing image dimensions of each social network. However, now you don’t have to worry about resizing images for social with our free tool, Landscape. Sprout Social’s social media image resizing tool was created specifically for social media managers. Simply upload your photo, choose the networks and post types where you’d like to resize your image, guide the cropping process and download all of your new images. 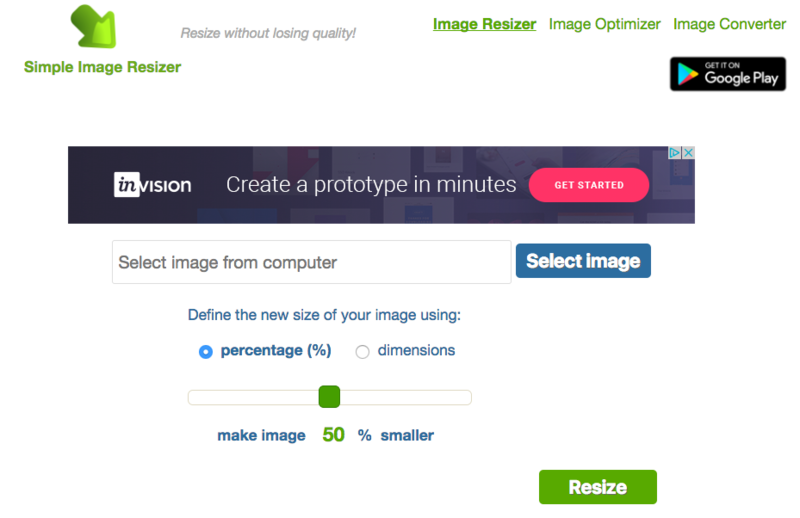 With the Simple Image Resizer, all you have to do is upload a photo and choose the new dimensions. It’s as simple as that. Picresize is another picture resizing tool with more than a dozen special effects and resizing features. It’s a breeze to upload your image, add effects and save it in different image formats. One of the biggest sites to feed your GIF cravings is Giphy. Not only does it host millions of GIFs, but it’s GIF Maker is easy to upload video content and create a looped video. 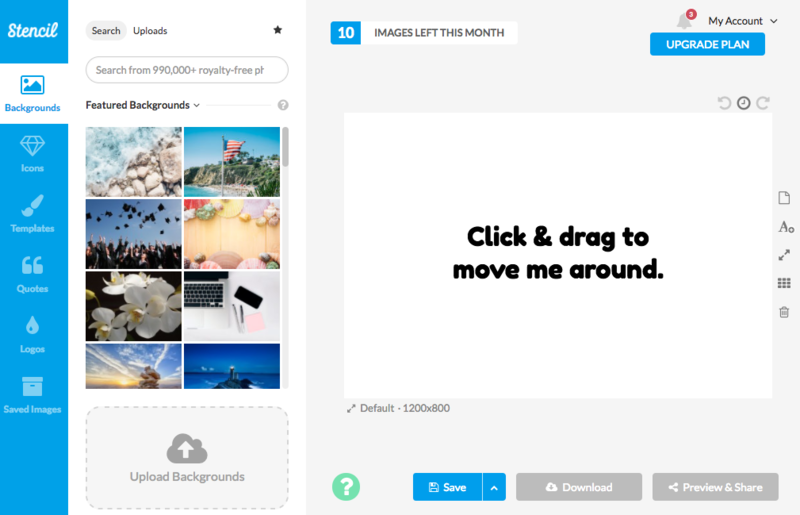 Store all your GIFs on your account or easily make one without having to log in and share! If you’re looking to upload multiple images to turn into a GIF, this is the tool for you. Easily use the control panel to select the size and save the GIF. The tool also has a resizing feature connected–all for free. Imgflip allows for fast and customizable GIFs. You can create GIFs from online videos, your own videos or images. Its simple interface is perfect for beginners. 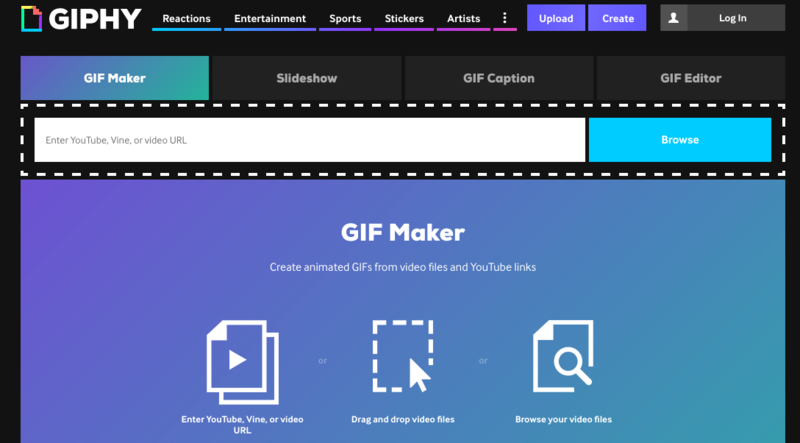 Make a Gif has a free GIF creation tool you can use on YouTube links or uploaded video files. It’s fast, simple and has the option to add stickers on your GIF. 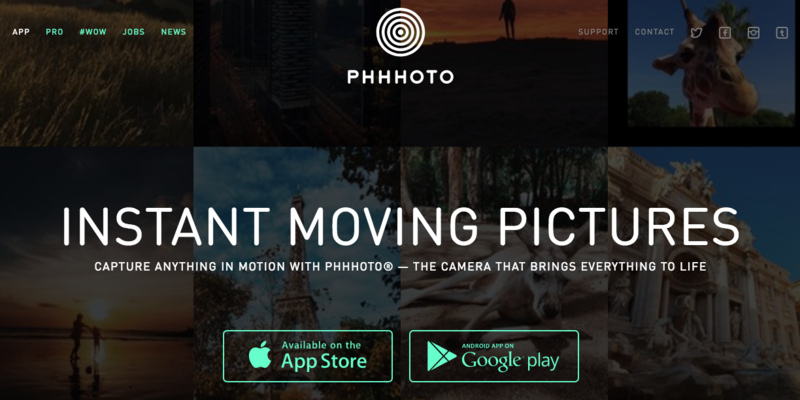 PHHHTO is mobile app for Apple and Android devices that creates custom GIF-like videos from your content. Your content ends up looking very similar to a traditional GIF, but has its own flare. It’s hard to talk about GIFs on social without mentioning Instagram’s Boomerang. This mobile-only tool allows users to make GIF-style videos that loop forward and backward on repeat. You do have to connect the app to your Instagram account, but the short pieces of content can really make your Instagram posts pop!